Sending a parcel to Australia can be a pain, not to mention costly. Why not choose a service that can offer you simple parcel delivery, at a competitive price? Why not choose NI Parcels? Sending a parcel across continents can be a dangerous voyage. That’s why NI Parcels only uses courier companies who have a well-earned reputation within the industry. Our carefully selected range of courier companies includes names such as Parcelforce, FedEx, DPD, Captain Courier and City Air Express and many more. From the moment the parcel leaves your hands to the moment it arrives, half a world away to Australia, you can be sure it’s in safe hands. There’s no need to pay extra for this peace of mind. Due to our unique contracts with these companies, we can offer prices that are up to 80% cheaper than going to these couriers directly. With parcels over 2kg, most of our services are also cheaper than going to a post office. Why wait in line at the post office? NI Parcels can offer simple door-to-door delivery as well as full online parcel tracking for both business and private packages. 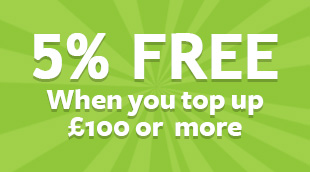 Simply go to our website to fill out a quote form, it’ll only take a moment. We’ll take it from there. Our service compares all couriers, provides you with the best options for price and delivery, and informs you when your package can be collected. 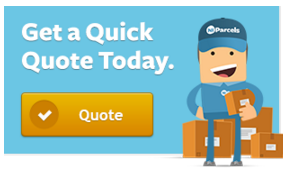 If you have several parcels to send at once, add these to your quote form. Simple. Once your parcel is collected sit back, relax, and track your package as it makes its way across the world. Need to ship luggage to Australia? Find out how My Baggage can help you! We’re committed to providing excellent service at low cost, to ensure that your package arrives safely and on time. Whether it’s a birthday present to your niece in Alice Springs, or important documents to a contact in Sydney, NI Parcels will ensure it gets there. From Dublin to Melbourne, from London to Coober Pedy, with NI Parcels you’re in safe hands. NI Parcels always offers terrific value, reliable collection and delivery, backed by our friendly, professional, helpful and experienced team. Get a quote now – and then let us do the work for you. Relocating to Australia? Find out everything you need to know in Uni Baggage’s ultimate guide.